Treating the Earth like a canvas and natural objects like rocks, sticks, sand and ice as art materials, we alter the natural environment to reflect ourselves and our own artistic impulses – even if only temporarily, until these works of land-based art are erased by nature itself. 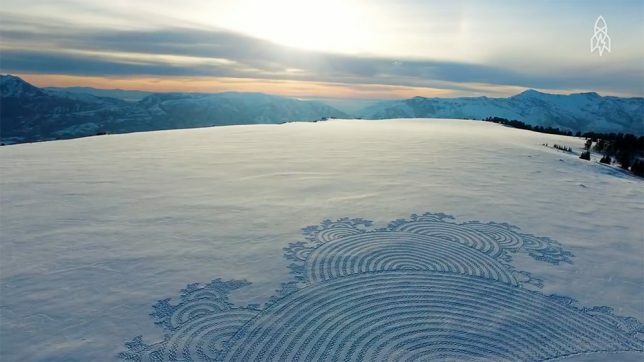 For his ‘Earthworks in Motion’ series, artist Paul Johnson takes inspiration from such legendary land artists as Andy Goldsworthy and Jim Denevan, using some of the same techniques but crafting them into stop-motion animations filmed in parks and nature preserves around Minneapolis/St. Paul, Minnesota. 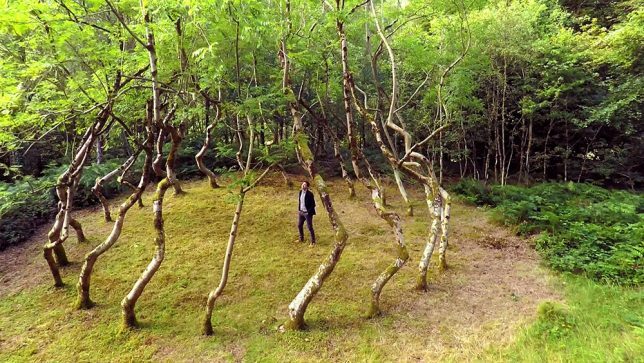 In 1977, sculptor David Nash secretly planted and trained a circle of 22 ash trees to grow into a shape resembling a vortex on an area of land in Wales. 40 years later, they’ve grown enough for the shape to be discernible. 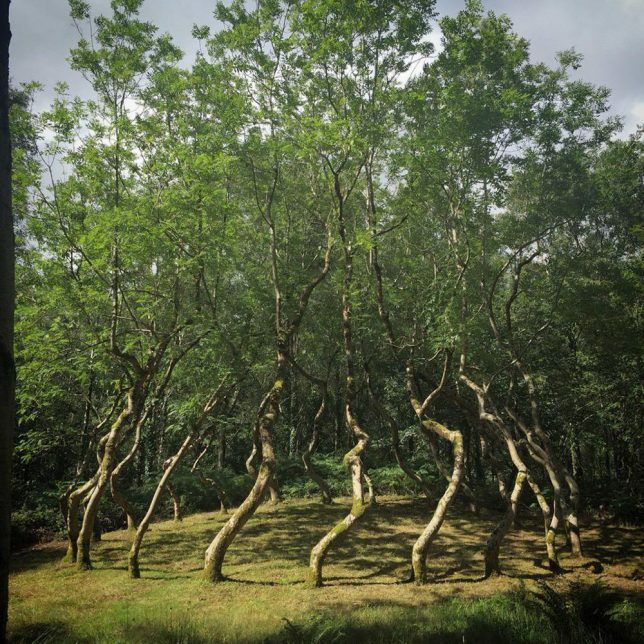 Nash says that at the time, during the Cold War and other unrest, planting something that couldn’t be properly enjoyed until the 21st century seemed like a leap of faith. 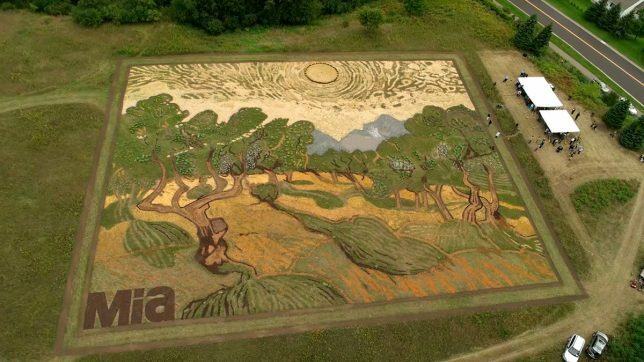 Vincent Van Goh’s masterpiece painting ‘Olive Trees,’ completed in 1889, comes to life – literally – in a Minneapolis field as artist Stan Herd uses nature as his canvas and paints. 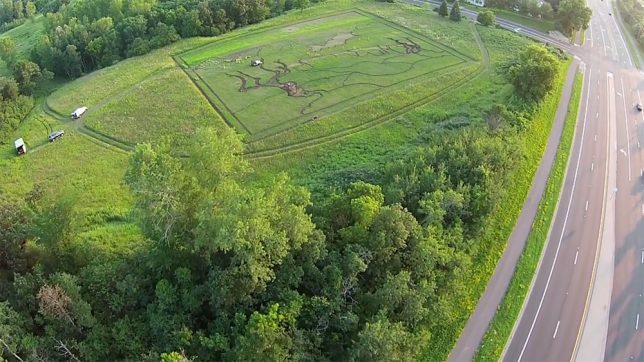 The piece was viewable from the air during autumn 2015 and then mowed down in concentric circles reminiscent of Van Gogh’s painting strokes. 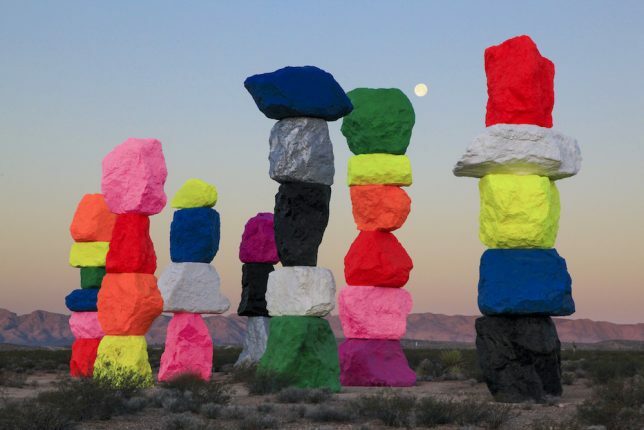 Each of Swiss artist Ugo Rondinone’s ‘Seven Magic Mountains’ made of stacked limestone stands between 30 and 35 feet tall painting in dayglo yellow, red, pink, silver and other colors. 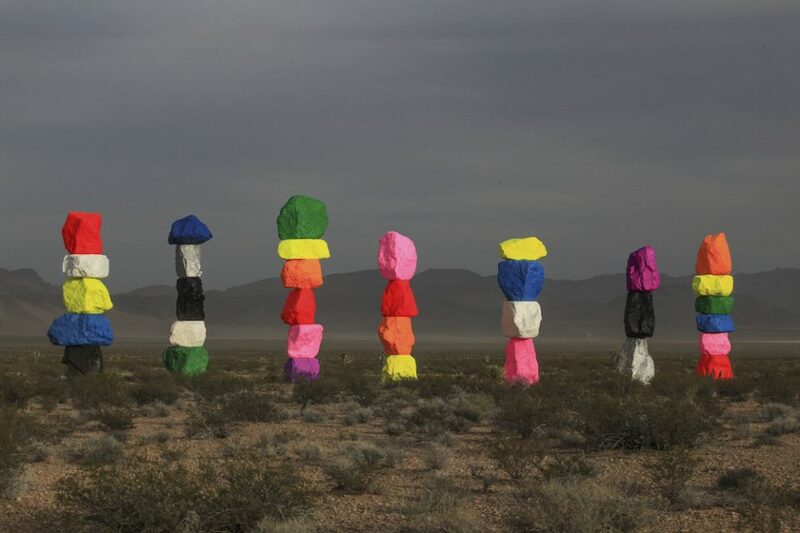 They’re set just south of Las Vegas as a monumental work of land art, installed in May 2016 and due to remain in place until May 2018, so there’s still time to see it in person. 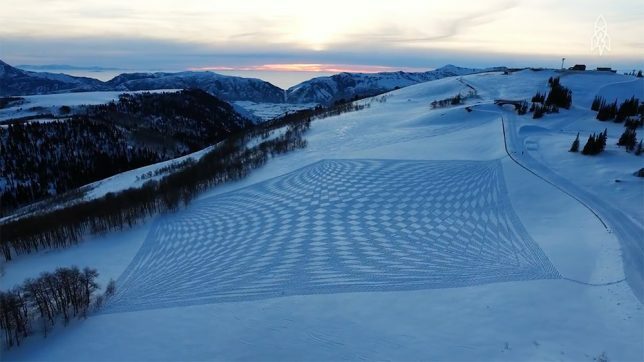 Simon Beck uses snowshoes to manually imprint dazzling patterns and shapes into snowy fields, photographs them from above and then allows them to be blown away, covered by more snow or trampled. 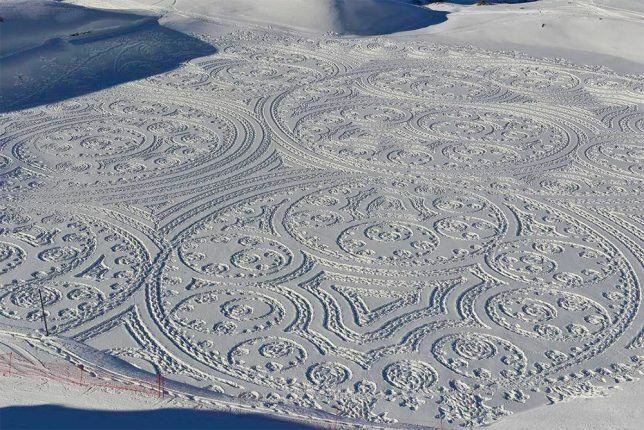 It can take up to 5,000 steps an hour for 10 hours at a time to complete an average piece.